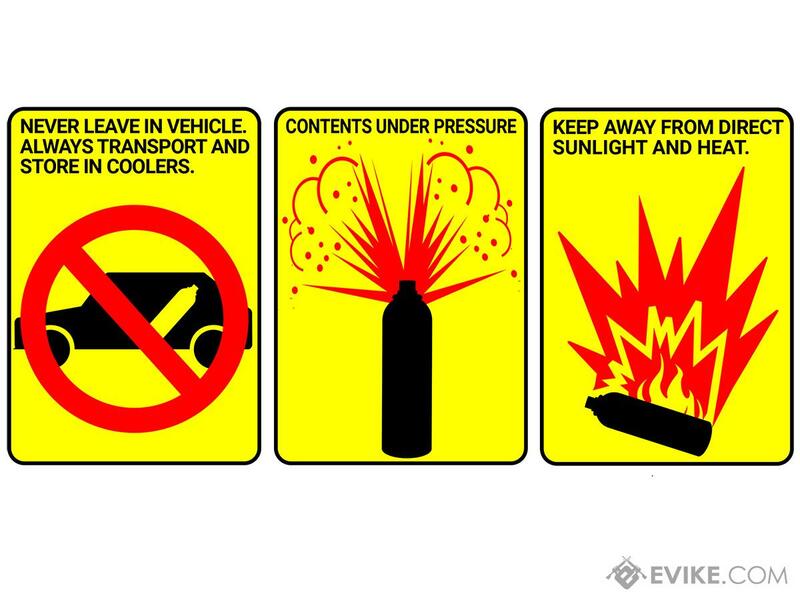 Pressurized gas cannot be shipped outside of the lower 48 states of the U.S.A.
A consistent pressure airsoft green gas. 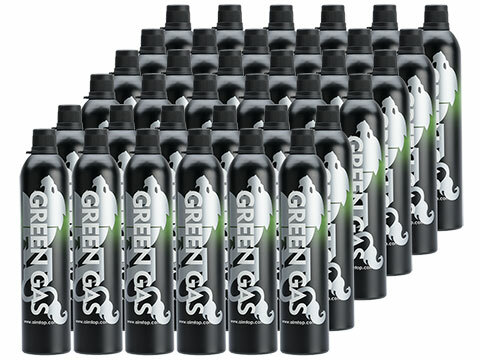 A special blend of C3H8 and silicon oil for improved consistency and to help preserve your air seals. 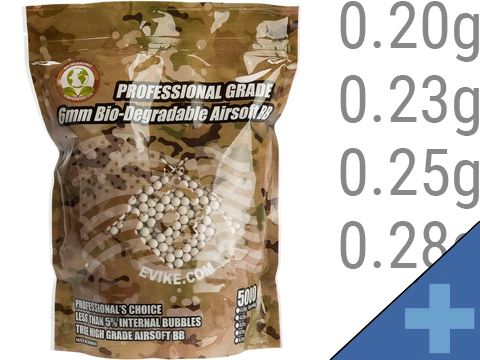 This green gas has gone through 3X the odor removal process to remove the smell commonly found with other airsoft green gas. 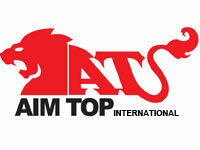 AIM TOP International was founded in 1993, manufacturing for various paintball companies.Until recent years, "AIM TOP" began to produce high quality Airsoft guns, parts and accessories to our clients and Airsoft players around the world. 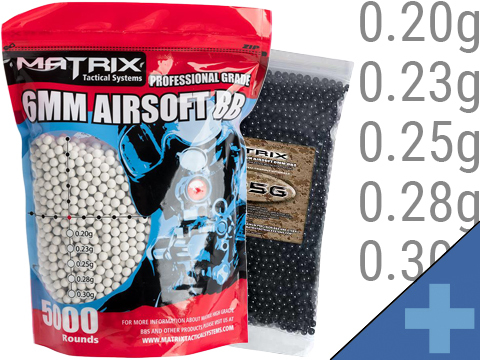 Aim Top innovates in technology and manufacturing and are cutting edge and will always be offering the best Airsoft products to you. "Haven't had any problems with it. 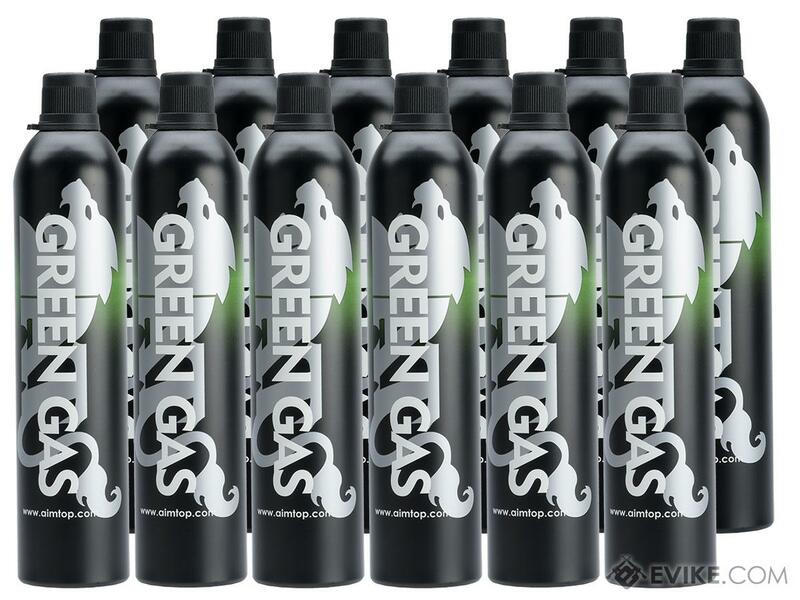 Works as advertised, good green gas for EF Glocks. 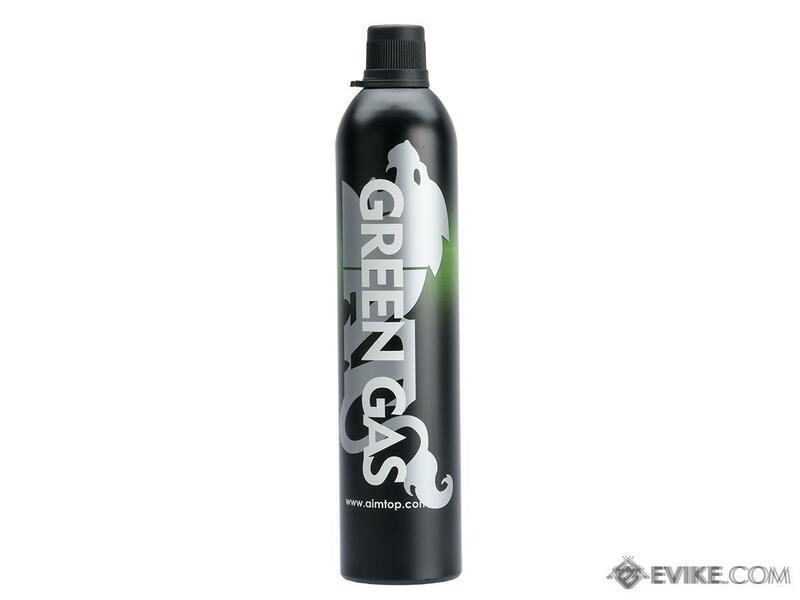 "VERY high quality gas with a lot of capacity. 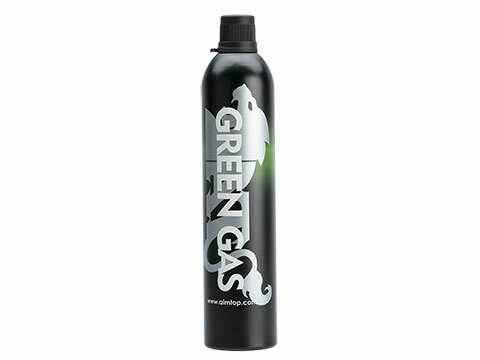 I reccomend this over Nuprol when you want to use regular green gas and not red/black. 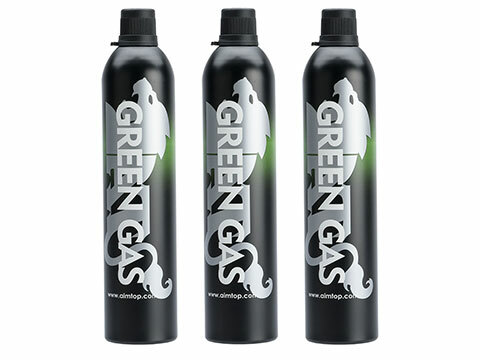 This gas can's threads are compatible with the Perfect Airsoft Green gas adapter. Make sure to use teflon tape around the threads if you use this method. 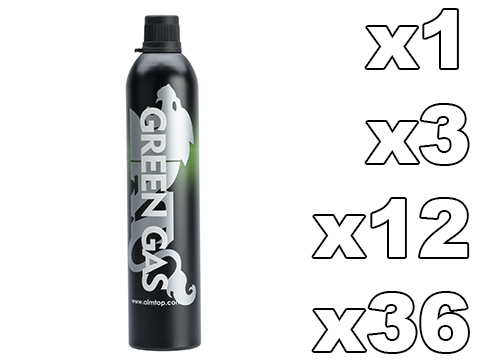 "Regular old green gas at a great price. Still not as cheap as propane, but definitely smells way better. Have had no serious performance issues with this gas so far. Definitely worth it, and handy to have around in a pinch. 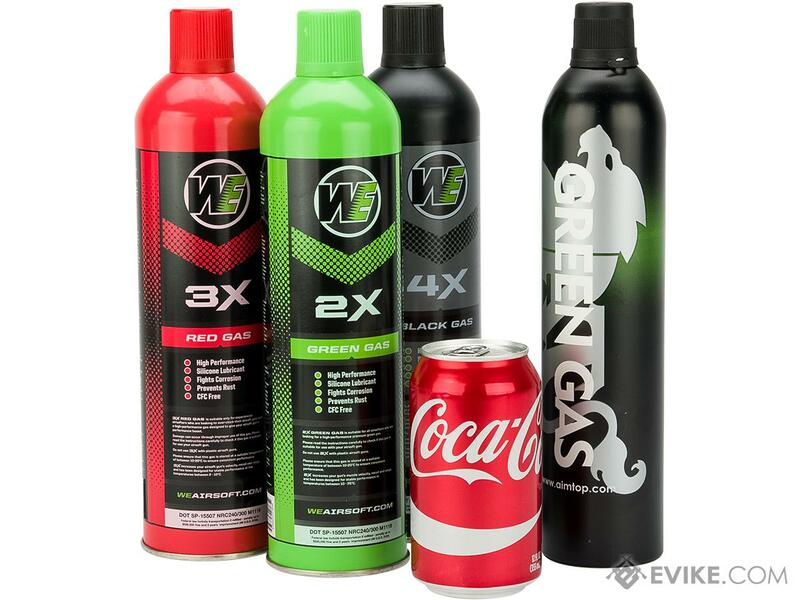 Discuss about Aim Top / Airsoft Arms Power Large 1100 Green Gas (Quantity: 12 Cans) with your friends and fellow Evike.com shoppers!